Zuma Ephrem Mtui, Director and Founder of CHETI Schools sharing his love of learning with students at C5. Mom2Mom Africa has a team of three dedicated, passionate and hard-working local partners living in Arusha, Tanzania. Together they monitor and communicate the student, family and school needs with us. They are all invaluable to Mom2Mom Africa and allow us to stay connected with the students from across the world. Aloyce has been a member of Mom2Mom Africa since our inception and represents Mom2Mom Africa on the CHETI School Board of Directors. Aloyce has lived in Arusha all of his life and attended the CHETI school as a primary student under Zuma. Aloyce is our primary contact in Arusha and is responsible for visiting all Urafiki Program students and their families regularly. From these visits, Aloyce communicates any needs or concerns that Arusha families may have to Mom2Mom Africa board members. He also takes pictures of the children and communicates stories that are shared the Urafiki Program families in Canada. Zuma is the founder and director of the CHETI School. Providing quality education for his students, Zuma works tirelessly to ensure that all students are striving in their studies and home life. With his teaching background, Zuma opened his first CHETI school in 1996 and added four more locations by 2007. He is well respected in Arusha and abroad. Hosting volunteers from all over the world, and hiring qualified and dedicated teachers, Zuma works continuously to provide top quality education to his students. 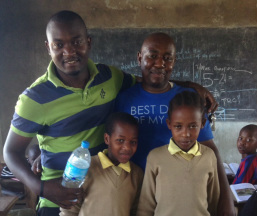 CHETI students rank high in national exams, a testament to his dedication to the CHETI school. 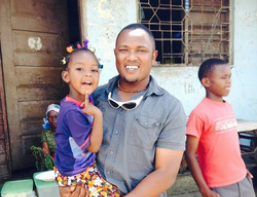 Zuma is married and has two children, one of whom attends the CHETI 5 School. Rob is a graduate of Mweka Wildlife College and owns and operates Everlasting Travels Tanzania in Arusha. Rob spent his primary school years studying under Zuma at the CHETI School and has been a Mom2Mom Africa Partner since inception. Rob is a nature enthusiast, and has worked as a climbing guide for more than 15 years. Rob has strong ties in Arusha and is an invaluable asset to the organization as an expert local consultant. Rob consults on secondary school selection for the Urafiki Progam students and the direction of our programs and fundraising efforts.